Welcome to TravelPulse's inaugural March Travel Madness Bracket: The Ultimate Journey Tourney. Rome is the undisputed number one destination in the world, according to TravelPulse editors, writers and readers who voted on the inaugural March Travel Madness Bracket. Only two remain... who will be crowned the top destination? 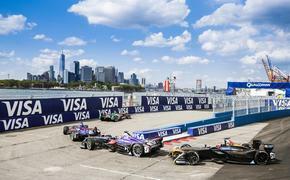 The Italian capital knocked off six marquee destinations en route to the title, defeating Budapest, Athens, Amsterdam and Dublin to advance from the ultra-competitive Europe region before downing a pair of fellow top seeds in New York City and Australia to cap off an impressive run. However, the road did get much tougher as the tournament went on, with Rome earning 71 percent of the vote against underdog Dublin in the Elite Eight, 62 percent versus New York City in the Final Four and only 57 percent against Australia in the final. Will Rome repeat in 2020 or will a new destination take the crown? You'll have to wait until next March to let your voice be heard. 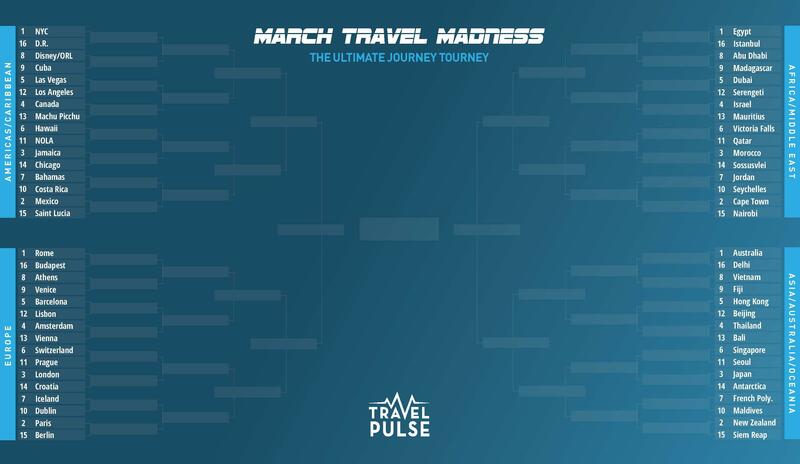 Welcome to TravelPulse's inaugural March Travel Madness Bracket: The Ultimate Journey Tourney. Pick your winners now to see which destinations advance to the Elite Eight! We've arrived at the Sweet 16 following two competitive rounds and plenty of surprises. All four number one seeds—New York City, Rome, Egypt and Australia—are still alive while a pair of double-digit seeds—13th-seeded Machu Picchu (Americas and Caribbean region) and 10th-seeded Dublin (Europe region)—remain in the mix to win it all. 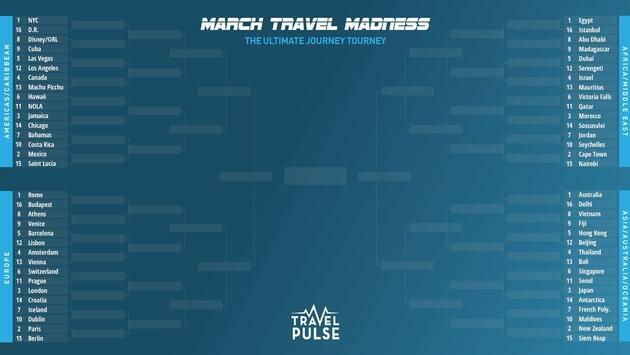 Welcome to TravelPulse's inaugural March Travel Madness Bracket: The Ultimate Journey Tourney. Pick your winners now to see which destinations advance to the Sweet 16! The opening round is in the books and while the favorites are still alive there are plenty of upset-minded underdogs in the mix, including 13th-seeded Machu Picchu in the Americas and Caribbean region. 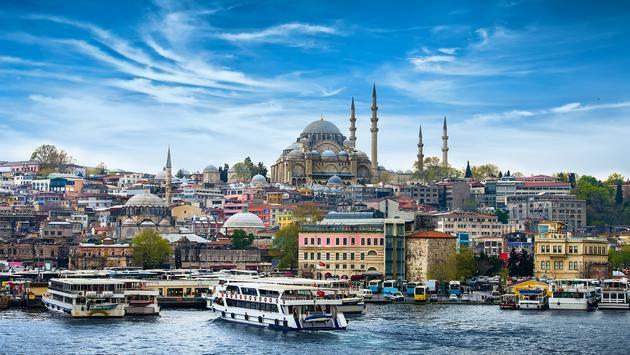 March Madness is in full swing and to celebrate, TravelPulse is introducing the inaugural Ultimate Journey Tourney Bracket featuring the world's top 64 destinations as determined by our writers and editors. Just like college basketball's NCAA Tournament, the bracket includes four regions, each comprising 16 participants. Regions include the Americas and the Caribbean; Europe; Africa and the Middle East; and, lastly, Asia, Australia, Antarctica and Oceania. 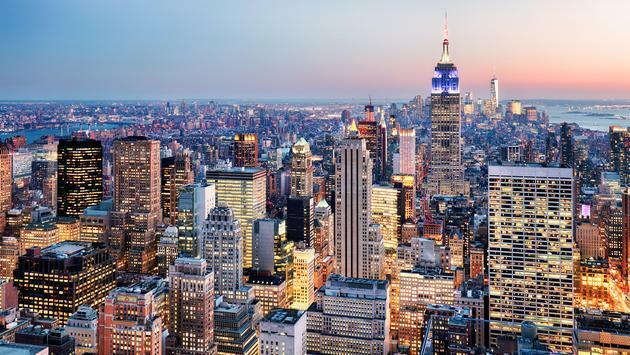 New York City will be the number one overall seed in 2019 after receiving the most first-place votes of any destination, followed by Australia, Egypt and Rome. The first round will feature a plethora of intriguing matchups, including No. 3 Jamaica versus No. 14 Chicago and No. 8 Orlando versus No. 9 Cuba in the Americas/Caribbean region. Meanwhile, in Europe, No. 7 Iceland versus No. 10 Dublin promises to be a tight battle. If there's the potential for a No. 16 seed to emerge from the first round with an upset, it's likely Istanbul, which will go head to head with top-seeded Egypt in the Africa/Middle East region. Fans of beautiful beaches and tropical paradises will also have a difficult choice to make between No. 7 French Polynesia and No. 10 Maldives in the Asia/Antarctica/Australia/Oceania region. Stay tuned to TravelPulse so you can let your voice be heard until the end and join the conversation on Twitter using the hashtag #MarchTravelMadness. To celebrate #MarchMadness, we've launched our own #MarchTravelMadness bracket featuring top destinations! Click here to view/download your own bracket.